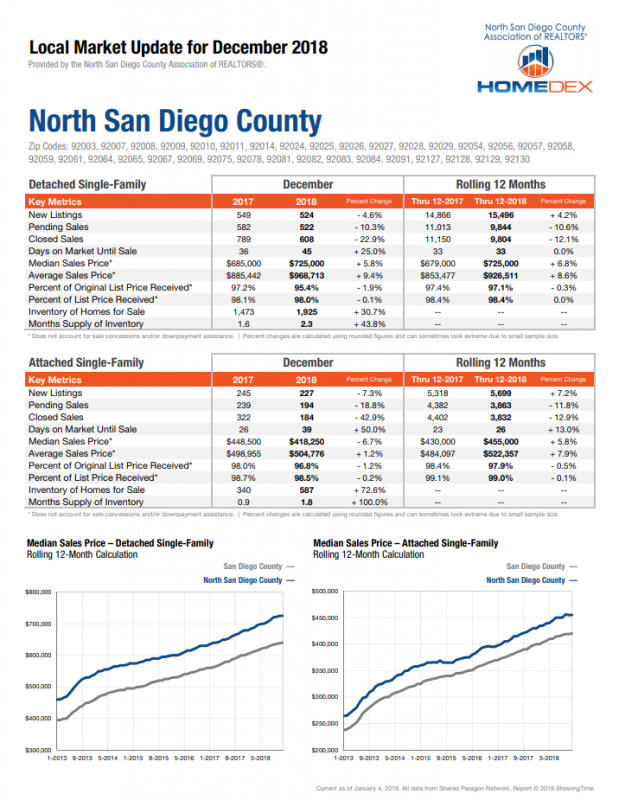 NSDCAR’s December 2018 HomeDex Report provides housing statistics and real estate market activity for North County San Diego. Below is a snapshot of the December 2018 housing report. Click on the link below to read the full report. Source: North San Diego County Association of REALTORS® HomeDex Report, powered by 10K Research and Marketing.